Dizziness and vertigo is a common condition which can affect up to 30% of the population. Vertigo is a subtype of dizziness in which an individual experiences an inappropriate perception of motion. What is the difference between Vertigo and Dizziness? Vertigo refers to the sensation of spinning or whirling that occurs as a result of a disturbance in your balance (vestibular) system. Vertigo may be used to describe feelings of dizziness, lightheadedness, faintness, and unsteadiness. Vertigo usually occurs as a result of a disorder in the vestibular system (structures of the inner ear, the vestibular nerve, brainstem, and cerebellum). Your vestibular system is responsible for integrating sensory stimuli and movement and for keeping objects in visual focus as the body moves. When your head moves, signals are transmitted to the labyrinth, which is an apparatus in the inner ear that is made up of three semicircular canals surrounded by fluid. The labyrinth then transmits movement information to the vestibular nerve and the vestibular nerve carries the information to the brainstem and cerebellum (areas of the brain that control balance, posture, and motor coordination). 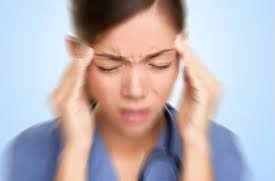 The most common cause of dizziness is BPPV (Benign Paroxysmal Positional Vertigo). Others common causes can include: inflammation in the inner ear, Meniere’s disease, neck joint dysfunction, vestibular neuritis, vestibular migraine and acoustic neuroma. Rarely, vertigo can be a symptom of a more serious neurological problem such as a stroke or brain haemorrhage, which is why you should investigate what is causing your vertigo or dizziness. A number of manoeuvres such as the Dix Hallpike provide more information, and treatment may involve the Epley manoeuvre among others. Advice for management includes sleeping in an upright position, as lying supine may aggravate symptoms, and a neck collar in the acute stage, may be beneficial to prevent rotational movements of the neck.